The environmental arguments for rail as a transport mode are not enough to push for a modal shift. Research shows that rail freight transport can have 25 per cent more impact on the national economy compared to road transport. Rail also creates more jobs than other modalities. These arguments should also be emphasised in pointing out the benefits of rail, according to Belgian scientists. 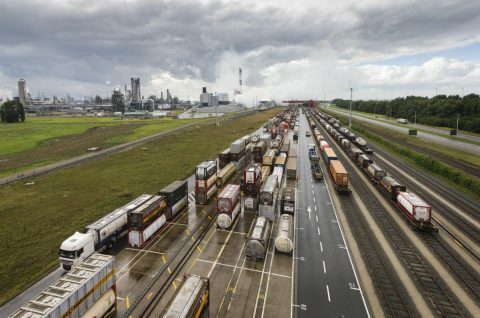 The Belgian Federal Science Policy Office assigned scientists of the universities of Antwerp and Liège to take a closer look at the rail freight industry and its potential within the framework of a project named Brain Trains. Europe has set the goal to realise a shift from road to rail or barge of 30 per cent of all long-haul traffic exceeding 300 kilometres by the year 2030. The environmental benefits and positive effect on road congestion have been acknowledged by most people, but have not resulted in this modal shift, the scientist argued. In order to achieve the desired modal shift, a mental shift is needed, said the researchers. This mental shift entails innovation of business models, which should lead to increased productivity and profitability. Groupage transportation, or the bundling of cargo, as a good example of how costs can be reduced to a minimum while the capacity is optimally used, said Thierry Vanelslander of the University of Antwerp. In order for the mental and modal shift to really happen, a few conditions must be met by railway operators, governments and the market, the researchers said. “Having a good and strong market regulator is crucial so that the market can be properly observed and the influence of large operators can be limited”, suggested. Vanelslander. In conclusion of the Brain Trains project, the researchers made 25 recommendations. “The government should be organised in such a way that different sections and services are integrated and cooperate in the most effective way. With an uncoordinated policy implementation not only valuable public resources are lost, but rail intermodality becomes very difficult, whereby individual well-intentioned measures can even counteract each other. There should be an organisation exceeding different themes, allowing, for example, the environmental policy to play a role in the rail freight industry”, said Vanelslander to name a few.